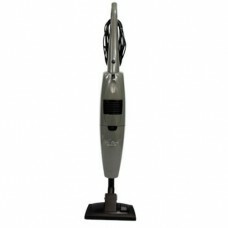 The Bank Stick Up Vacuum is the perfect choice for powerful cleaning. The Stick Up is designed for excellent performance on all hard surfaces including delicate tile, marble, and hardwood. The Stick Up also performs well for surface cleaning carpets such as area, Oriental and Persian rugs. The Bank Stick Up features a swivel neck for hard to reach areas and uses the German Wessel Werk nozzle to give the best maneuverability in its class. The Bank Stick Up is the perfect choice for powerful cordless cleaning. The stick up is designed for excellent performance on all hard surfaces, carpets and area rugs. The detachable hand vacuum is perfect for those little spills or around birdcages or litterboxes.The stick up featues a swivel neck assembly for those hard to reach areas. Easy to use on/off switch for the rotating brush.